Shady Grove reflects Austin's appreciation of the outdoors and entertainment. 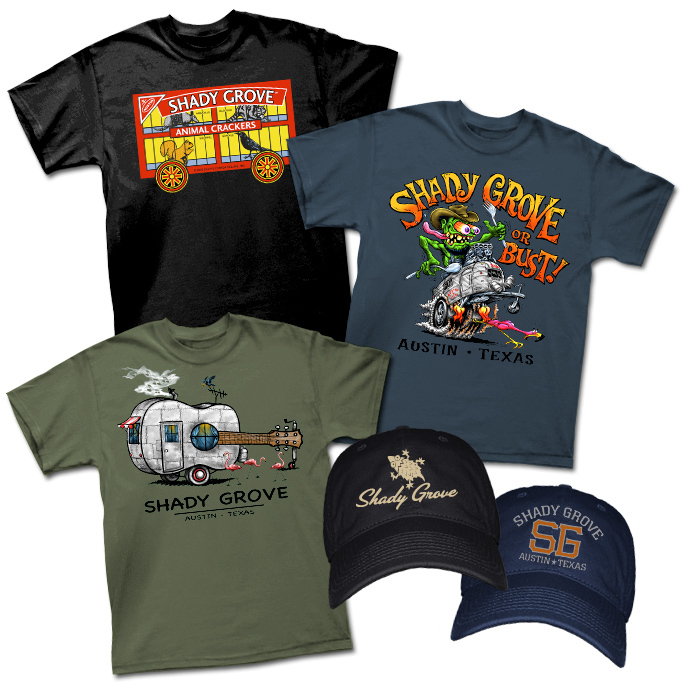 Nestled under the shade of a tall pecan grove just minutes from dowtown, the restaurant fast became an Austin favorite - along with our collectible merchandise offerings. "From the art department’s immaculate attention to detail, to their ability to turnaround an order in 24 hours if we need it, down to Megan’s personalized notecards she sends out just to say THANKS. A little goes a long way in the design industry, and they’ve really showed us what that means. We’re true 'Outhouse Groupies'!"